Offices are one of the most difficult areas to keep clean. With hundreds of people coming in and out on a daily basis, it's safe to assume that most of them do not treat their office space as their home so probably many cleanliness issues are swept under the carpet. An unpleasant, dirty office is not a productive working environment. Why not give your employees a clean and healthy environment to work in? 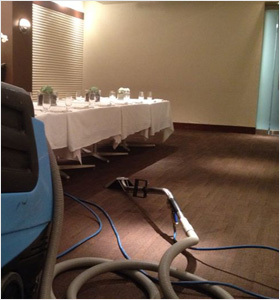 Philadelphia Carpet Cleaning's office cleaning service provides a comprehensive cleaning service that will suit your budget and availability. Whether you need office cleaning on a daily, weekly or monthly basis, we are happy to provide you with a competitive quote. We use a team of experienced technicians who work with the utmost care and integrity until their job is complete. If you are not happy with our job, we will carry on working until you are. No office is too big or too small for Philadelphia Carpet Cleaning. Our team only uses approved and recommended cleaning agents and all of the technicians are insured against property damage and are very careful and courteous as they work. Just as you want to look after your employees by cleaning their working environment for you, we also want to help and you, so you can think of us as your partner. You will not be disappointed with the performance of Philadelphia office cleaning service and we just know that your employees will reap the benefits of your generosity. Show them you care by calling Philadelphia Carpet Cleaning today!